You’ve read some books, registered at the hospital, chosen a baby name and shopped for a car seat. But are you ready for labor itself? What are you going to do when contractions start? Even if you’re planning for an epidural (at some point), you’ll need to know a thing or two to make the early part of labor bearable. And guess what? Learning a few simple positions and tricks can make the whole process go faster and reduce your risk of a c-section for a “stalled labor” or “stuck baby.” Do I have your attention now? Going all natural? If you’re committed to the no drugs approach, you’ll need to do more than refuse the epidural. What are you planning to do for pain management instead? Wouldn’t it be helpful to have some tools to make the whole process not only bearable but maybe even empowering, too? No matter what you think you’ll do during labor, knowing how to stay calm, relaxed and stress-free will benefit you every step of the way. In this class you’ll learn positions for laboring at home and in the hospital; positions for standing, walking, sitting, kneeling, reclining and lying down; positions especially useful AFTER you get an epidural; positions for pushing your baby down and out; tips and tools for relieving pain and bringing comfort such as counterpressure points and massage skills; tips for moms and for their support team (husband, family, friends). 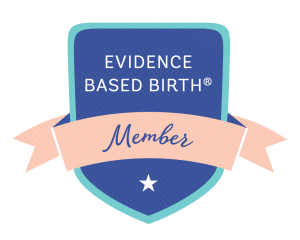 Planning a home birth? All of these tips and tools will apply to you, too. Not your first birth? These skills fit every momma, from first baby to tenth baby. Already have a doula? She will thank you for taking this class! You’ll better understand her suggestions. 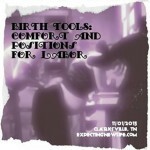 The Birth Tools class will be taught by Heidi Duncan of Expecting New Life Birth Services. Dr. Dale Brown will be a guest speaker, discussing the benefits of chiropractic care for mothers and babies. REGISTRATION after 10/23/2015 is $95/couple. Event ticket applies to one pregnant woman and her support person, which includes husband or other family member who plans to be present during her labor and birth. Please do not abuse this definition by pairing up with another pregnant mom. Posted in Education and tagged Clarksville, class, comfort, doula, epidural, event, labor positions, relaxation, tools. We loved Heidi’s class, it really helped us in my induction which was completely unplanned. We initially planned a very natural friendly birth. No medical intervention unless needed and we thought Heidi’s class would really help us in natural pain management. Turns out, I had to be induced for medical reasons. Her class is what helped us start a very natural induction. The positions used to move baby into the canal helped my cervix thin. Ultimately I still had to recieve pitocin and an epidural.. But even while medicated I found myself needing relaxation and positions to help me calm down after receiving my epidural. I highly recommend this class for whatever type of birth you choose to have. Medicated or not, her tools helped me succeed in avoiding a c-section which is a HUGE accomplishment in my book. Even if you already have a doula, this class is really geared towards helping your spouse better understand how to help you. I give it 5 stars. Thanks Heidi!